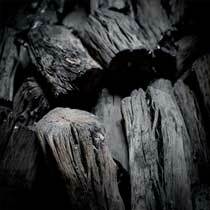 Binchotan is the name given to a special Japanese white oak charcoal. It is made by steam-activating the oak wood over an extended period of time, bringing the wood to temperature as high as 1,000 degrees Celsius, sometime hotter. 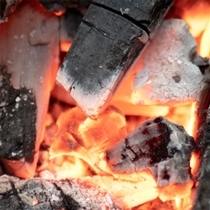 The end result is a charcoal with a vast network of cavities which creates massive surface area, which burns at a lower temperature, and burns more evenly. Because this Japanese white charcoal does not release unpleasant odors while burning, it's a favorite among chefs and cooks. Due to difficulties in identifying the producing region, the name binchō-tan has come to designate white charcoal generally, and even products from outside Japan, as well as those made of other species of wood such as bamboo, have come to use the name, Bincho-tan. Binchō-tan or white charcoal or binchō-zumi dates to the Edo period, when during the Genroku era, a craftsman named Bichū-ya Chōzaemon began to produce it in Tanabe, Wakayama. The traditional raw material is oak, specifically ubame oak (Quercus phillyraeoides), now the official tree of Wakayama Prefecture. 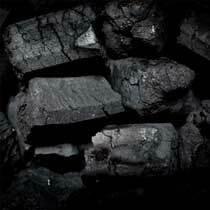 Wakayama continues to be a major producer of high-quality charcoal, with the town of Minabe, Wakayama producing more binchō-tan than any other town in Japan. 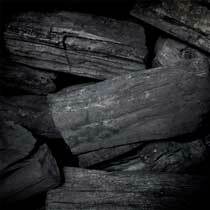 There are various grades of Binchotan charcoal to buy. The term "Kishu" designates binchton that is specifically from Wakayama, Japan. Kishu is the highest grade binchtan.